Professionals follow best technology for the manufacturing of this Blister Packing Machine. 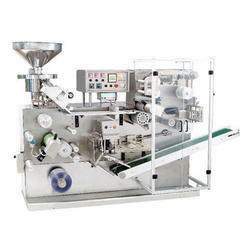 This blister packing machine has high packing rate. We manufacture fine quality Packaging Machines, which are less power consuming and requires less maintenance. We have segregated our infrastructural facility into several units including packaging unit wherein we meticulously pack our products to ensuring hassle free deliveries. We have a wide supply chain network that enables us to make delivery of consignments within the stipulated time. BP 102 combines forming and sealing using a revolutionary single drum technology. It is specially developed to optimise your investment in the machine and change parts. With continuous thermoforming and sealing it produces high quality blisters. ACG Pam Pac Machines Pvt. Ltd.
Flat blisters with reduced curvature. We are offer a wide range of Blister Packing Machine, that are specially designed for allied industries. 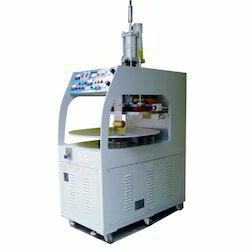 Being excellence concerned business; we offer our patrons a wide assortment of Manual Blister Sealing Machine. The product is a sturdy, robust and best in use for sealing distensions of consumer products, pharmacological. The offered machines are checked on various parameters keeping in mind the global norms and standards.